KEASBEY, N.J. – November is National Diabetes Awareness Month, and as part of ShopRite’s continued commitment to providing free health and wellness services to its shoppers, the supermarket is offering a variety of free diabetes-themed educational classes, food demonstrations and store tours led by in-store dietitians. According to the Center for Disease Control (CDC), there are an estimated 30.3 million people living with diabetes in the U.S. About 86 million Americans ages 20 years or older have prediabetes. In prediabetes, blood glucose levels are higher than normal, but not high enough for a diagnosis of diabetes. While events vary from store to store, Menza-Crowe says that the ShopRite dietitian team also offers year-round free counseling sessions to assist customers who are looking for personalized assistance in managing diabetes, or other nutrition-related concerns. 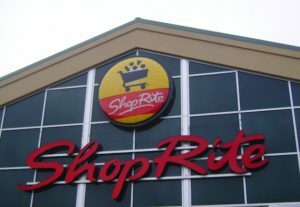 Customers can find out more information about diabetes-themed events happening at a ShopRite near them by visiting shoprite.com, or stopping in the office of their local dietitian. Don’t fear fruit: “Fruits contain carbohydrates but also have vitamins, minerals and fiber. It’s okay to include whole fruit into your daily meal plan, just don’t go overboard,” says Menza-Crowe. ShopRite Pharmacies also offer a list of free diabetes medications with a valid prescription.